In a previous post I listed all different target CDs by French artists that are currently known. As a sequel to that I'm now adding some variations that I acquired during the past few months but also one completely new title that was recently discovered. Let's start with Michel Polnareff. The variation shown below has no number embossed in the plastic ring. Instead a small 'w' is stamped in the hub. And then there were three more Targets of Gold. 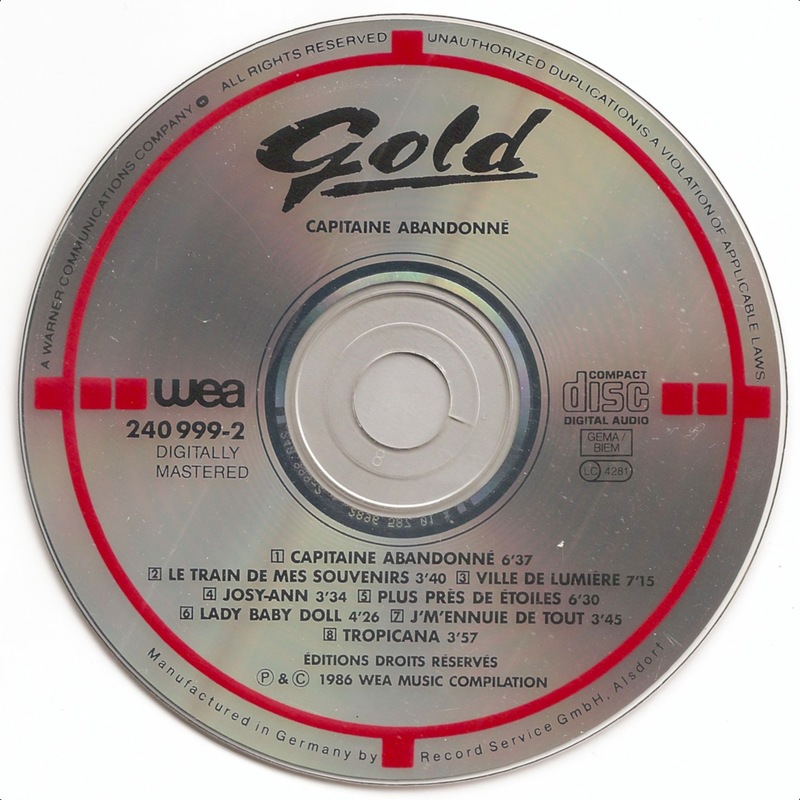 The first two are German pressings of their album Capitaine Abandonné. Unlike the variation that I already had, these two do not have a mirror band, the difference between the two being the number that is stamped in the hub area, which is '8' for the first and '18' for the second disc. I admit that these are very minor variations and that it is a bit of nitpicking, but I'm very curious to find out what these numbers mean. My guess is that they are some kind of mold identification numbers, which would make them sort of precursors of the IFPI-codes that were introduced around 1995. 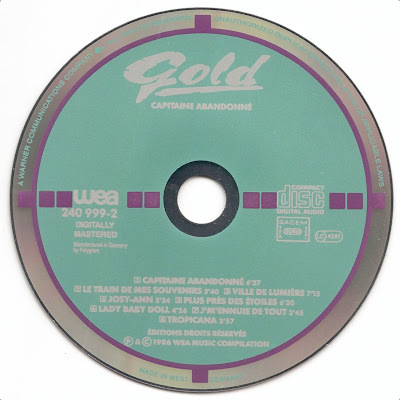 The third Gold target is a variation of the West German pressing of the same album. Here the name of the manufacturer is not shown on the label side. Instead the text MADE IN W. GERMANY BY PDO is etched around the center hole on the play side of the disc. Seafoam green targets, made in France by MPO, are not that easy to come by. Featured below is a hub variation of Michel Jonasz's 1979 effort, Les années 80 commencent. In the plastic center, the text reads COMPACT DISC MPO FRANCE 07. The West German target pressing of Tristesse, another album by Michel Jonasz, is also very difficult to find. The variation that is featured below has no mirror band and is even scarcer than the one with mirror band in my experience. In fact, this is only the second copy that I have ever seen of this variation. The variation of Les Plus Belles Chansons de Michel Jonasz shown below has a small 'w' and '38' stamped in this plastic center. This variation came with inserts that differ slightly from those of the copy I already had. And finally there is a new target CD by France Gall, Paris, France, which was recently discovered. 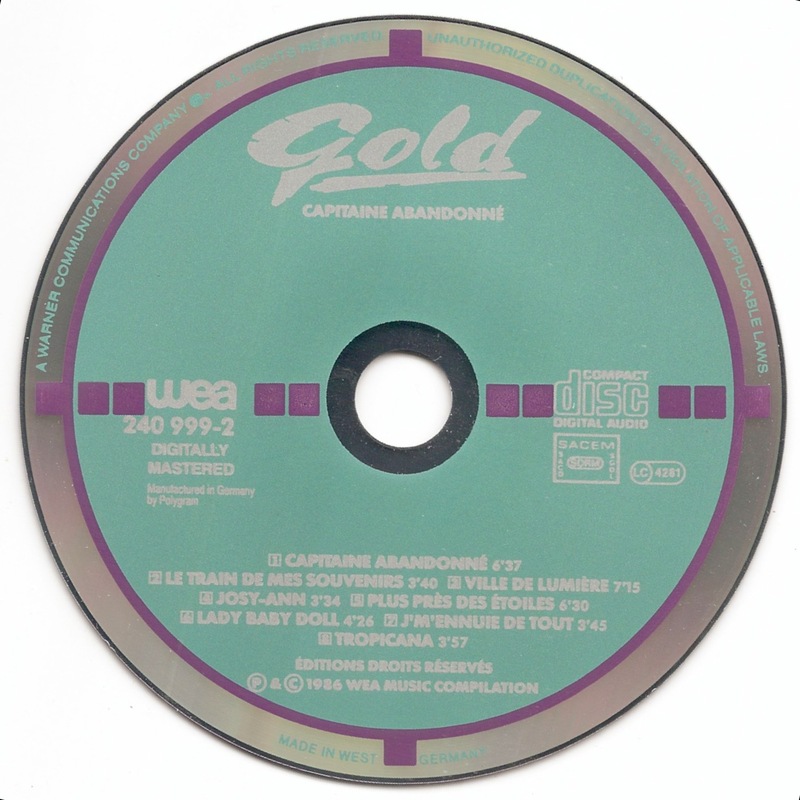 Just like the other target from this artist, this one was also manufactured in Germany by Record Service and appears to be a recent pressing since it is bears the two IFPI-codes that are typical of pressings after 1995.